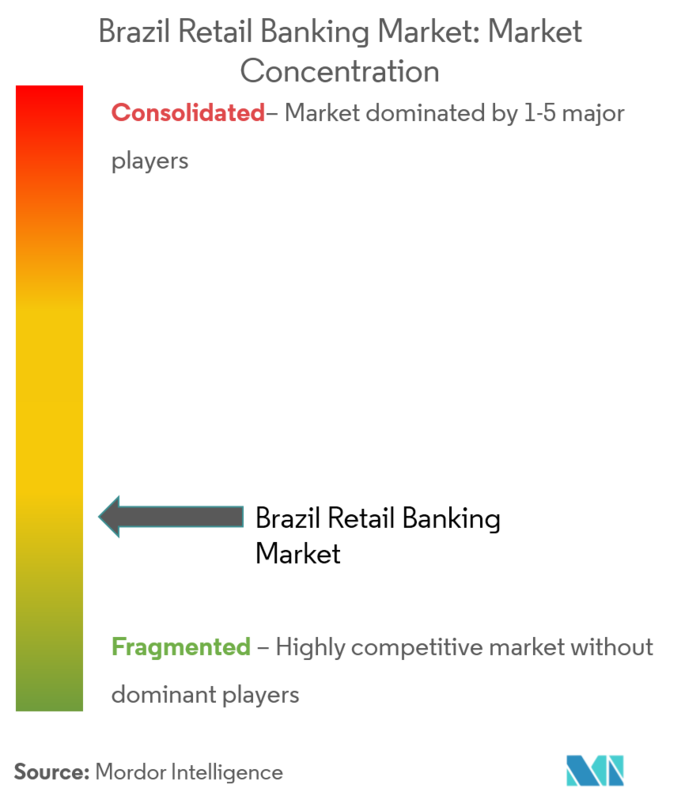 The Market is segmented by Product, by Industry, and Channel. The Brazilian retail banking market was valued at USD 439.4 billion. The retail credit is equivalent to 21.6% in Brazil. Retail banking found to be less sensitive to price competition, exhibited considerably higher returns than corporate banking. Brazil has the highest representation of digital adventurers in banking as compared to the global average. In 2017, Itau Unibanco Holding SA received final central bank approval to buy Citigroup's retail banking unit in Brazil. Recent years have witnessed Brazil observing low housing loan penetration and a very low level of household debt. 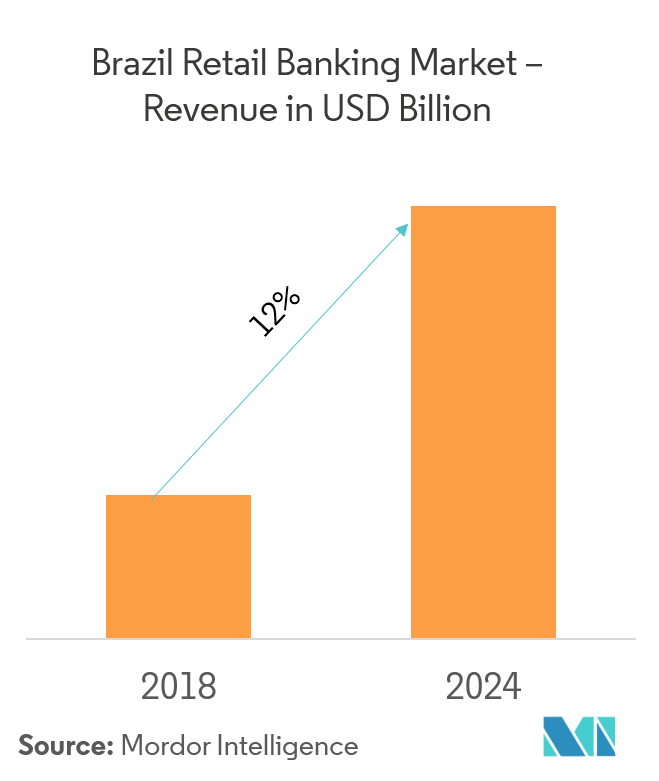 A complete background analysis of the Brazilian retail banking market, which includes an assessment of the parental market, emerging trends by segments and regional markets, significant changes in market dynamics, and market overview. 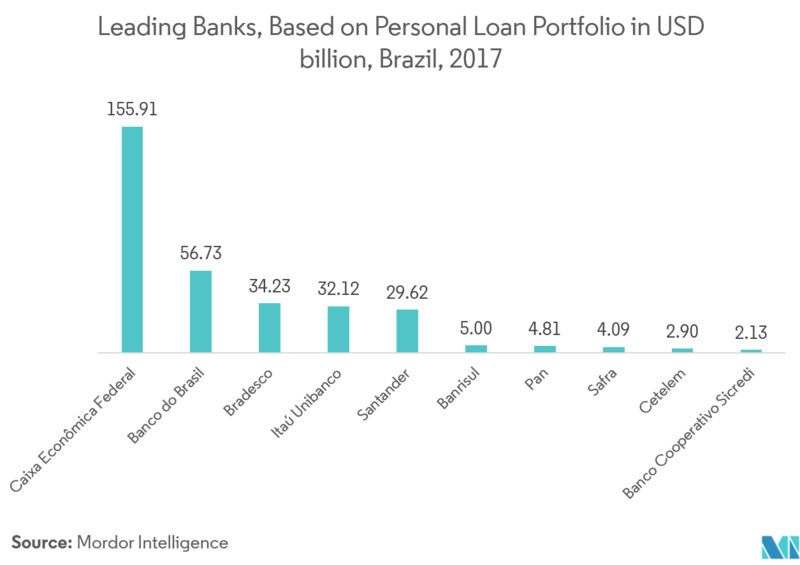 In 2017, Caixa Economica Federal led the ranking, with a personal loan portfolio amounting to USD 156 billion. Banco do Brasil ranked second, with approximately USD 56.7 billion. 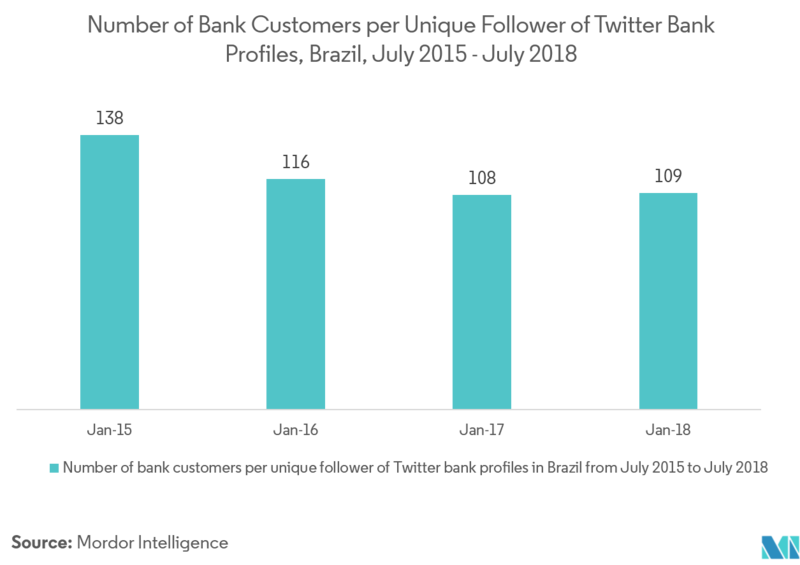 As per the data on the number of bank customers per unique follower of banks' Twitter accounts in Brazil from July 2015 to July 2018, Brazilian banks had on an average one Twitter follower per 109 bank customers, in July 2018. The report covers major international players operating in the Brazilian retail market industry. In terms of market share, few of the major players currently dominate the market. However, with technological advancement and product innovation, mid-size to smaller companies are increasing their market presence by securing new contracts and by tapping new markets.